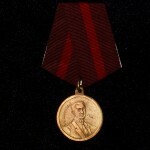 Imperial Russian awards are first stable samples of military and civil orders and medals in Russian history. 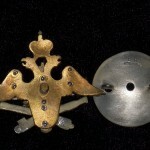 Performed in a complicated and aristocratic design awards of imperial time are interesting not only as a historical heritage and objects for collections but also as an indirect expression of art and esthetic fashion common for Russian empire. 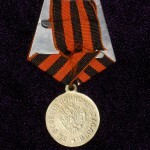 First imperial award were issued by Russian monarch Peter the Great (Peter I) in 1698. 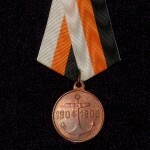 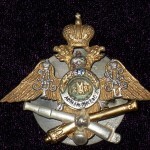 During around 100 years Russian award system operated with three imperial orders only. 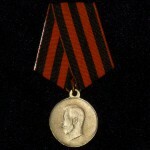 There also were no certain regulations and rules that would stipulate conditions for an order to be awarded. 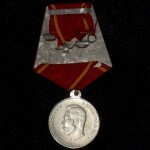 Personal attitude of a monarch often become determinate for getting an award. 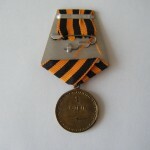 It is difficult to imagine such system being implemented for Soviet awards or WWII German medals but in Imperial Russia it could exist due to a small number of awards’ variations. 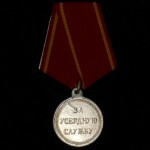 Catherine the Great (Catherine II) after her coronation in 1762 started an innovative reform in award system of the empire. 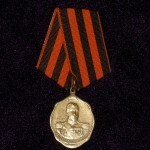 According to rapid widening of the country’s borders and growing numbers of military participants it was necessary to improve award system and to introduce new variants of orders and medals. 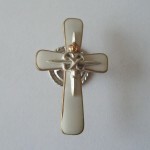 Catherine not only issued two more orders but also determined 4 grades for each one. 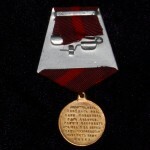 System of imperial awards became not only more perfect but more complicated as well. 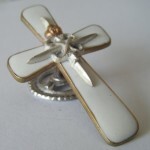 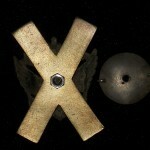 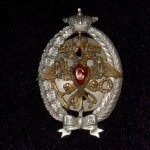 Each order was followed by a star – a special decoration that is usually made from metal. 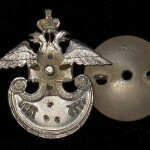 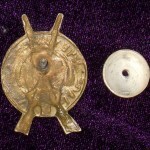 Early stars issued in Russian Empire were embroidered with silver or golden threads on a material base and were later replaced by a metal stars made from gold or more often – from silver. 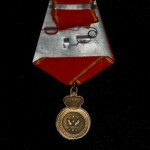 Highest Imperial awards were decorated with brilliants, others — with rhinestone. 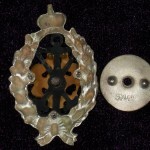 Modern collections contain some orders where brilliants were partly replaced with rhinestone that was probably made during a hard financial period of an owner. 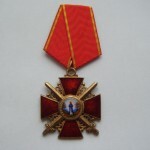 Getting an award also gave an automatic right to get a social status of nobility, that could be refused by monarch. 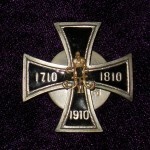 This rule was restricted in 1845 and allowed only some of award holders to get the status. 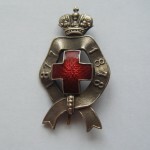 In 1698 Peter I issued first order of St. Andrew that was awarded to most outstanding civil and military representatives. 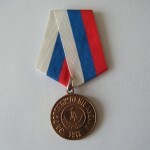 After being cancelled with the beginning of Soviet period it was re-established again three hundred years after in Russian Federation. 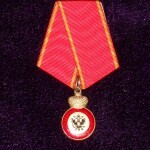 Among Imperial awards there was a special order to be awarded for noble women of Russian empire – order of St. Catherine. 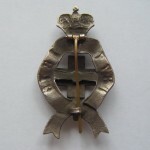 First time it was awarded in 1714 to wife of Peter I and it was the only award of an order of St. Catherine during life of the monarch. 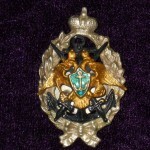 After Peter I left the throne order was awarded to more than 700 women of Imperial Russia. 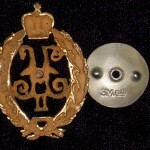 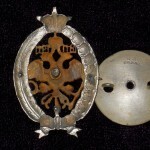 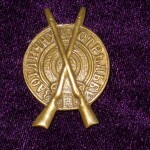 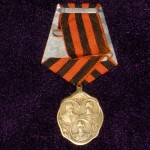 Order of Alexander Nevsky was first awarded in 1725 and it became third order issued in Russian Empire, the order was titled “For Labor and the Fatherland”. 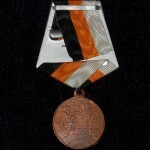 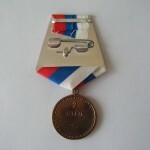 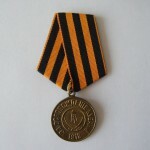 It was also one of Imperial military awards that was both cancelled and re-established by Soviet Union. 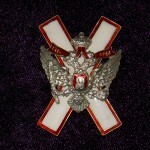 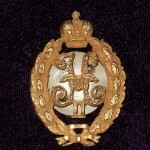 Order of St. George issued in 1769 is one of the most recognized awards of imperial time. 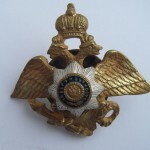 It was main and most respected military award during the reign of Catherine the Great.Later also an order of St. Vladimir that had 4 grades and 4 variants of being worn was introduced by the monarch. 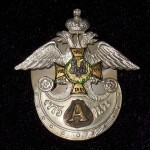 Order of St. Anna (existed since 1735) was a dynastic order that were given mostly to members of monarch family and their relatives. 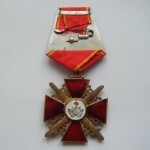 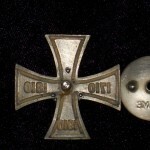 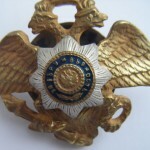 Some other orders entered to Russian award system after joining of Poland: order of St. Stanislaus, order of Virtuti Military and order of White eagle.